I always like to complete a gift with a handmade tag – it just adds a nice personalised touch. 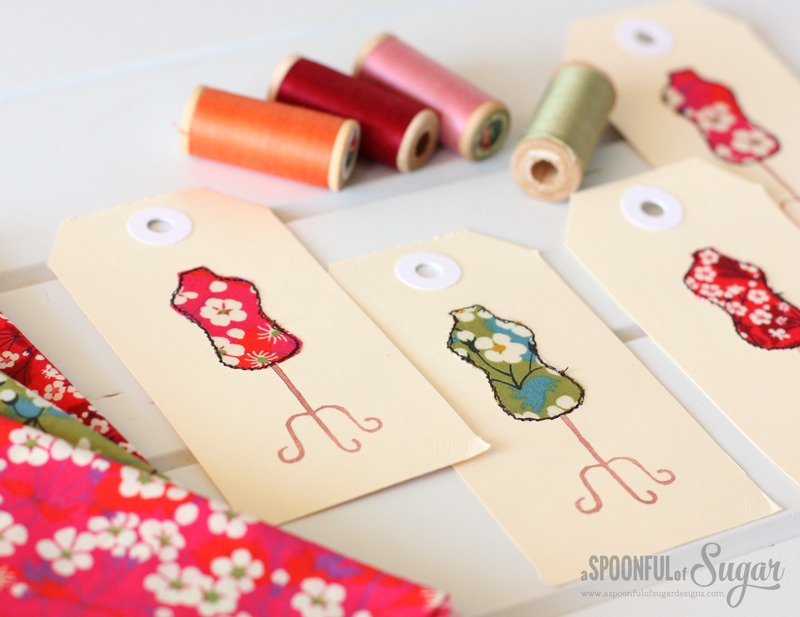 The Dress Form Lavender Sachets (a project from my book), were the inspiration behind these dress form gift tags. They were quickly made in under 30 minutes using some basic supplies. 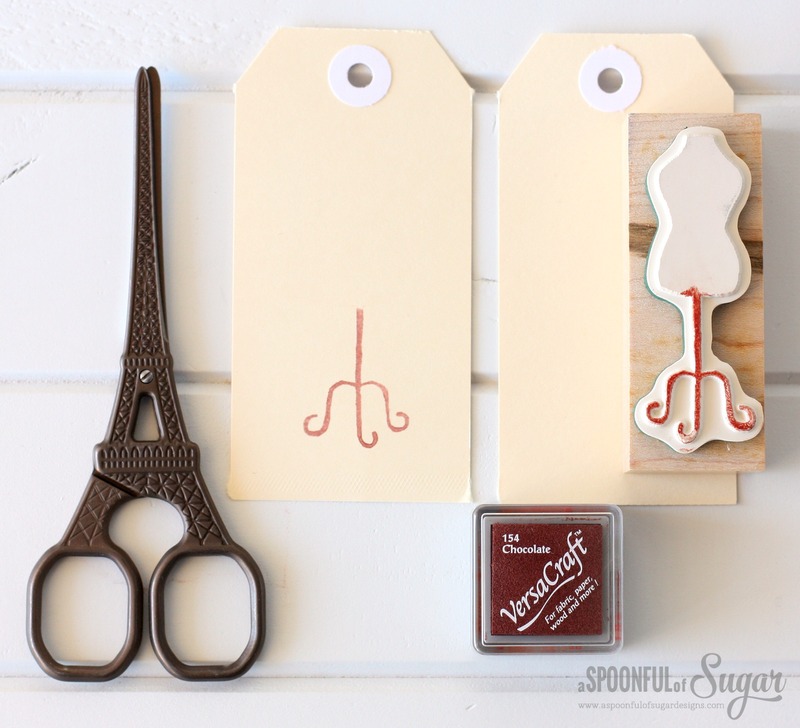 If you are using a rubber stamp, carefully cover the dress form stand in ink, and stamp on the shipping tag as shown. If you do not have a dress form stamp, draw a stand using a brown marker. 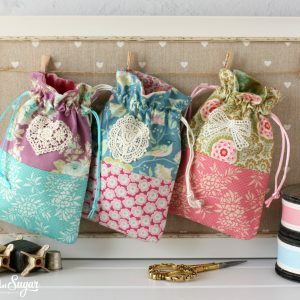 (Tip: clean your rubber stamps by stamping on baby wipes). 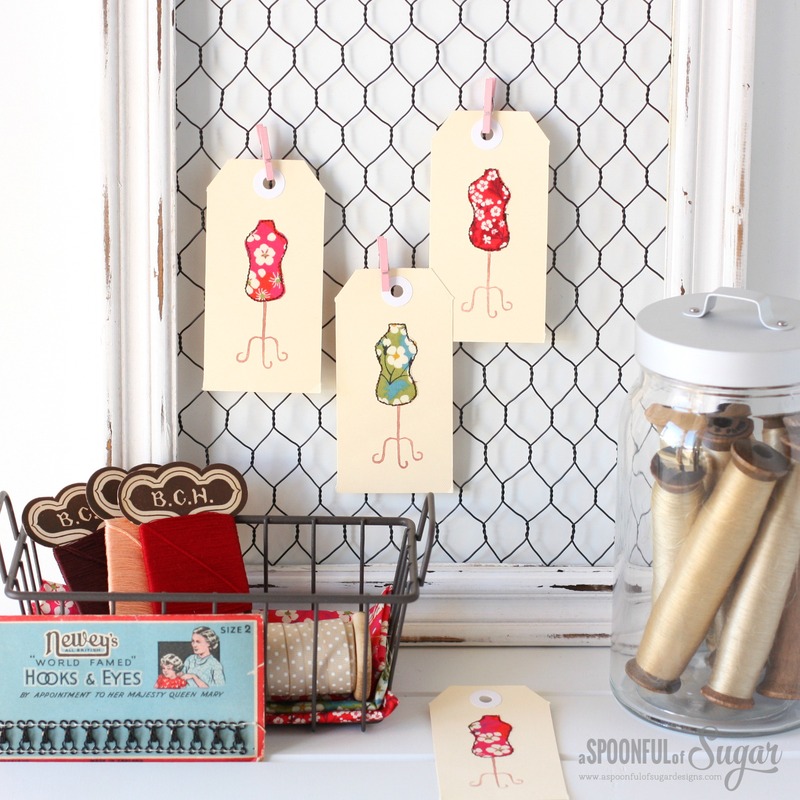 Stamp the dress form onto scrap paper and cut around the shape so you have a stencil to trace onto the fusible web. If you do not have a dress form stamp, draw a dress form shape on scrap paper, using the image above as a guide. Trace the dress form shape (in reverse) onto the paper backing of the fusible web. Cut around the shape using a clearance of at least 1/4 inch. 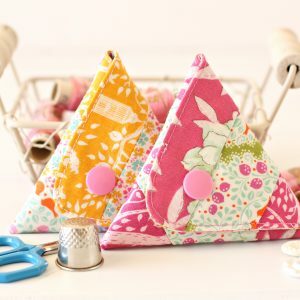 Press the dress form shape onto the back of your fabric scraps, and cut out the shape. Peel off the paper backing, and position the fabric dress form on the shipping tag, and gently press to adhere to the card. Stitch around the outline of the fabric dress form using your sewing machine and dark brown thread. I used a short stitch length (1.5) and stitched around the outline twice. 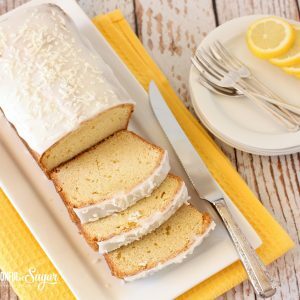 Add a ribbon and you are finished! You can fussy cut the fabric to make some really pretty dress forms. 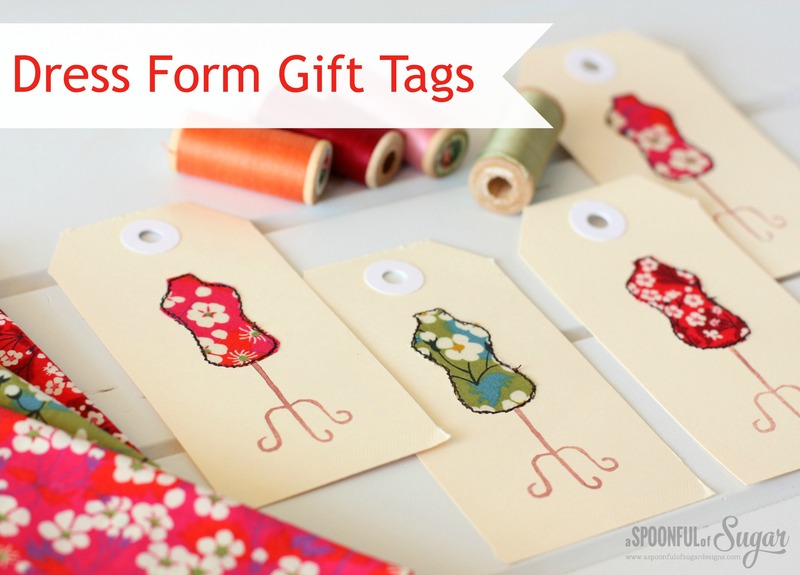 The Dress Form Gift Tags are a fun, quick project. 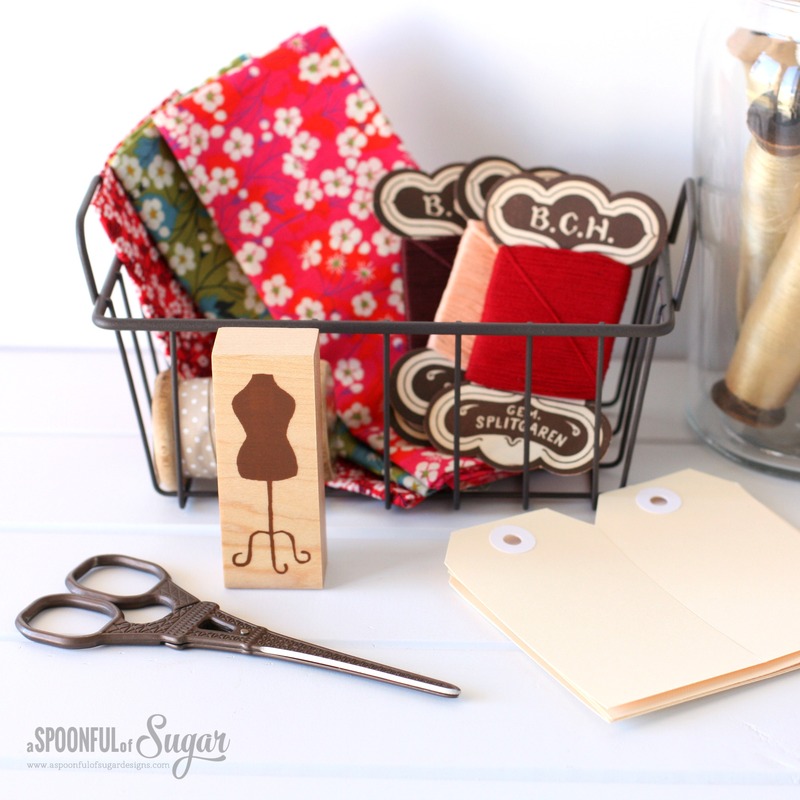 For more ideas on making cards, check out our Quick Fabric Cards and Stitched Gift Cards. 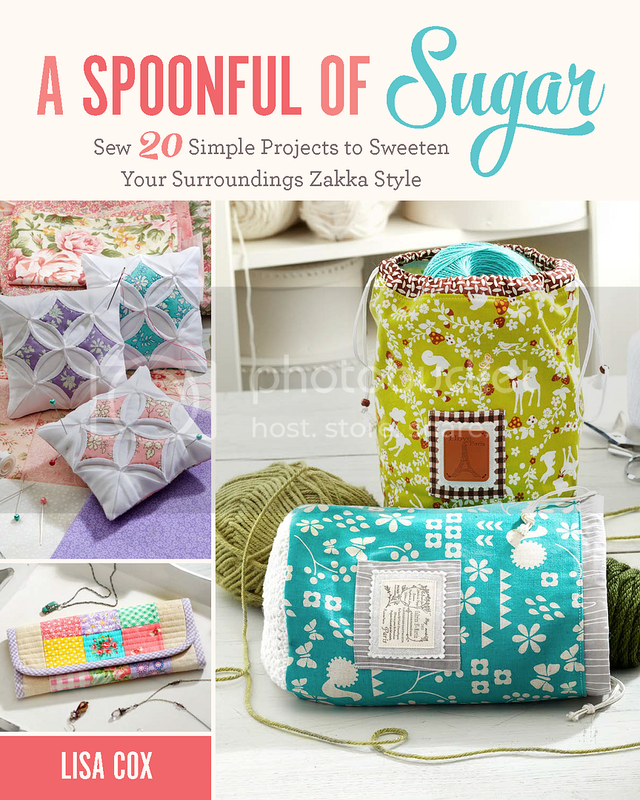 Check out more of our Liberty inspired sewing projects here. 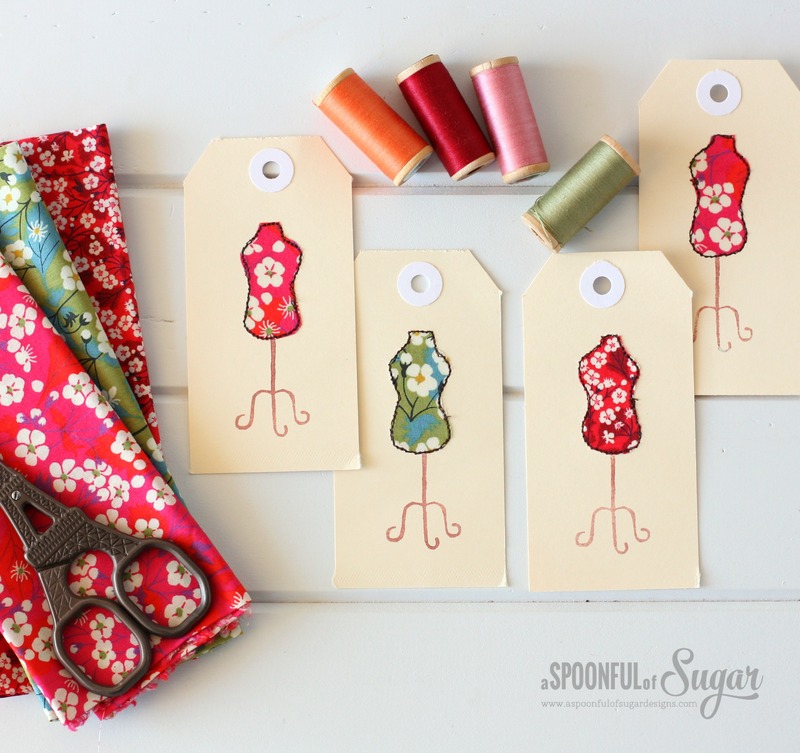 The Liberty fabric used in these Dress Form Tags is available from Ava and Neve. These are so cute Lisa! Looks like the dress form stamp is no longer available. Maybe I could have a go at drawing it free hand? Practise, practise…..
You could probably put it on your computer screen and trace around it 🙂 It is an easy shape to draw. Have a lovely week! 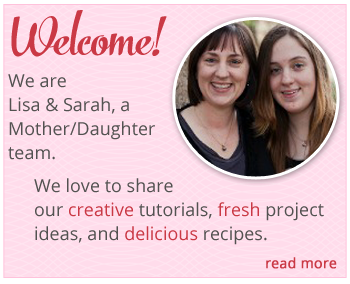 What super cute idea! Will have to store this in my memory bank. TFS. Very cute! They look lovely!